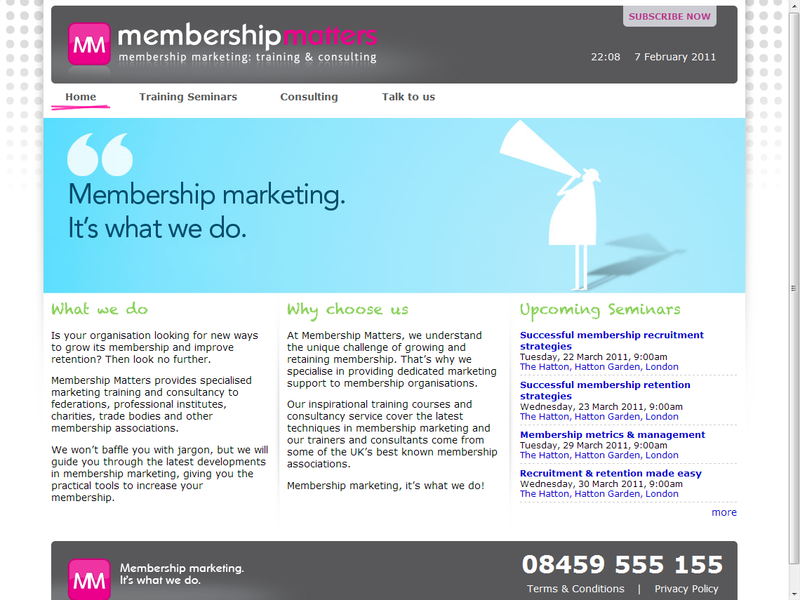 Membership Matters provide expert training in membership marketing and retention. Events, being individual sessions of different training courses. Event bookings, with attendance limits, email notifications and reminders. Payments for bookings, including PayPal payments and invoice payments. Discounts for multiple bookings in one purchase.